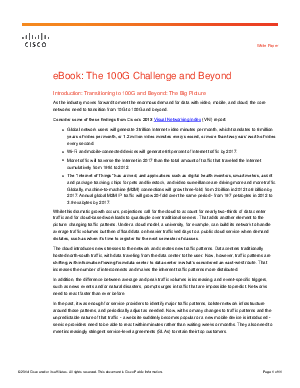 For Service Providers and their customers, 100G is a timely and critical boost in transport services. It’s a critical enabler for Service Provider network and data center interconnects to scale in response to service evolution and increasing bandwidth demands. But the ability to transport data at that speed is just one aspect of the overall scalability story. Download this white paper to learn how the Cisco NCS Family of products can benefit you.